It's hard to believe that the wearables market was only starting to emerge less than three years ago. At that stage, action cameras such as the GoPro were the most successful wearable technology devices. Things changed in September 2013 when Samsung announced its Galaxy Gear smartwatch; the company's gone on to unveil seven wearables in the past two years. At the time CCS Insight predicted that wearables would be a segment characterised by a combination of hope and hype, which has proved to be an accurate assessment. Manufacturers were hoping that wearables would create new sources of revenue as smartphones entered a phase of maturity, while relentless waves of hype sprang up as each new device appeared. The most hype accompanied the Apple Watch, which despite missing sales expectations has well and truly put wearable devices on the map. This is reflected in CCS Insight's most recent end-user survey, in which about 90% of the 1,000 consumers we interviewed in the UK were aware of smartwatches, a leap from 75% just a year earlier. However, while smartwatches — and the Apple Watch in particular — are currently grabbing the lion's share of the value associated with wearables on a worldwide basis, all the sales volume is coming from fitness bands. About 50 million of this type of device will be sold in 2015 alone. Fitbit is the brand that's become synonymous with these products. Reflecting this brand strength and the popularity of Fitbit devices, we predict that by the end of 2017 Fitbit will become the first wearable company to cumulatively sell 100 million units. In an associated prediction, we believe Google will also become very interested in the fitness band category. CCS Insight predicts that in 2016 Google develops a lightweight version of Android Wear to offer low-cost fitness bands. In a further twist, we expect the first device to use this software platform will be a Google-sponsored product called the Nexus Band. Google simply can't afford to miss out on the data generated by millions of fitness bands to support its knowledge of Google users, to increase their value to advertising sales, and to establish a firmer footing for the Google Fit initiative. Another area that we believe will have a transformational impact in 2016 is virtual reality. The sheer momentum behind this technology is underlined by events such as Facebook's $2 billion acquisition of Oculus VR and investments by other consumer electronics giants like Samsung and Sony. The inexpensive Google Cardboard, which pairs with an ordinary smartphone to create a virtual reality headset, has already been experienced by thousands of people. One million cardboard headsets were delivered to New York Times subscribers; UK mobile network operator EE gave away free units on Black Friday; and Kellogg's has created a version that can be built out of its cereal packets. Gaming's always been seen as the focal point for virtual reality. 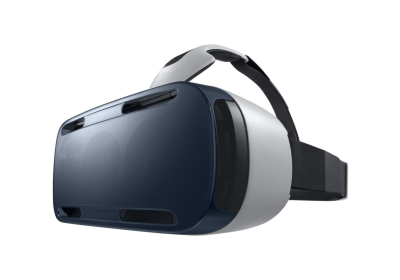 However, CCS Insight believes that in 2016 there'll be a deluge of other types of virtual reality material. We predict that by the end of 2016 all major new movies will have a 360-degree trailer. Movie-makers will benefit from the ready-made publicity vehicle created by the hype surrounding virtual reality experiences. They'll use the massive distribution networks of Facebook and YouTube, which both support 360-degree videos. Star Wars: The Force Awakens is a trailblazing example; it typifies studios' approach in creating 360-degree trailers but not using the technology for the movies themselves. Other categories where virtual and augmented reality will also have a profound effect include travel, education, architecture and design, and retail marketing. Anyone interested in wearable technology should hold on tight and brace for an exhilarating 12 months. We forecast millions of fitness bands, smartwatches and virtual reality headsets will find their way into Christmas stockings in 2015, building up huge momentum for the year ahead.